My name is Meena Dhanjal Outlaw. On January 23, 2000, I fell from the balcony of my home and sustained a spinal cord injury. From that day forward, I was a paraplegic and no longer had use of my legs. This is my story. The first year of life with a spinal cord injury was a shock to my system. At first, I simply couldn’t believe that something like this could happen to me. I suppose I used to think I was invincible, as humans do. After all, success seemed to be in every corner of my life going all the way back to my childhood in London, England. I had success in being married and moving to the United States, then I found success in a well-paying career. My success continued in having two wonderful children. However, fate had another plan for me. After I became paralyzed, everything changed drastically. One huge change was a divorce shortly after my accident. Suddenly, I had to figure out how to take care of myself as well as my newborn son and my three-year-old daughter at the time. The years following this heartbreaking transition were really rough. I was so consumed with how I was going to make ends meet and support my children that I even attempted to go back to work. Unfortunately, that turned out to be a disaster. Up until that point, I had never known what it was like to experience ableism and silent discrimination. It didn’t take long for me to decide I would find my own way to support my children, because the traumatic experiences of that job really shook me to my core. I decided I would never allow anyone to treat me like that again. Luckily, my mother came to stay with me as much as she could on breaks from her job in London. My family took turns to come over to be with me and help out. Just knowing I had someone there to count on was the biggest peace of mind I could have received. My children were my rock and my unceasing encouragement to never give up. Everything became about them. I decided to remain in the same school district for them because I knew the schools would be great for them. I could have moved elsewhere, but being a mother requires sacrifice. Thank God I had a good mother who never gave up on me. That blessing alone taught me what I needed to be for my children and me. Following my mother’s lead, I wanted to do that for my children graciously. My spinal cord injury played a huge role in all the choices I made. Being disabled forced me to become a better person. I feel I had to grow into a stronger, more educated person who wouldn’t take nonsense from people who felt they could treat me badly. With my paralysis came complications. I was diagnosed with Myasthenia Gravis four years ago. I went from being a high functioning paraplegic to now using a power wheelchair with muscle weakness constantly threatening my upper body. Doctors told me I have a mild case of this autoimmune neurological disease. Well, I don’t know what that is, but I would never wish this condition on my worst enemy. As a single mother, I had to become vigilant so that my children and I could sleep safely at night. I slept with a baseball bat next to me because this was the first time I had ever lived alone. I went from my parent’s home to my husband’s home to being a divorced, newly disabled mother of two young children. Of course, I wanted to do all I could to take care of my kids, but I soon found I couldn’t protect them from everything. My daughter was bullied at school, all because I am disabled. As a result, I now have an estranged relationship with her. It’s one of the most painful things to go through, but I am a survivor and a fighter. I keep moving forward and fight my battles with dignity and strength. After taking some time to think about my goals, I decided to go back to school. Four years later, I earned my diploma with a goal of writing books for children and teenagers. Since then, I have published four books, earned awards, and made my own mark in my chosen employment field as a freelance writer. This has allowed me the opportunity to work from home so I could also meet the needs of my children. By the third year of my disability, I can proudly say I was almost entirely independent. Things were looking up. Our home was perfect, wheelchair-accessible, and safe for the children too. Then God blessed me with a good man. The moment I met him, I knew he was the one I was destined to meet in my life. I knew in my gut that this journey, with all of its heartbreaks and disappointments, pain, and abuse, served a purpose to lead me to him. By the time we found each other, everything was right and fell into place. Who could have predicted that I would have had another child? It was never in our plan. Who could have predicted that I would be so happy in my marriage? In the first few years of my of my post-injury life, I had cried to my mother, asking her who could ever love me like this. Now, I’m living out my own love story every day. I have a husband who is there for me through thick and thin. I found this picture the other day when sorting out my photographs. To me, it says everything of how I felt at that time: lost, alone, unsure, and very different. 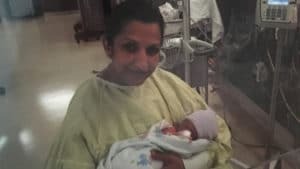 Every time the anniversary of my accident rolled around, I felt melancholy, remembering the day when the biggest and most traumatic change in my life occurred. I was sad for a long time, but I hid it well. I refused to allow my children to see me cry. That, I did at night by myself. It’s now been nineteen years since the day of my paralyzing accident. But over the last few years, I realize that I pushed through those terrible years of the unknown with positive energy. That energy returned to me in increasingly positive ways, and I came out better, stronger, and independent. I forgave all my old enemies, and this was as much for them as it was for myself. Why carry resentment and bitterness? It would only hurt my future and me. I thank God I went through all I did if this was supposed to be the other side. I am now a mother of three beautiful children and a wife to a wonderful husband. Our lovely home and our lives are filled with grace, love, and faith. What I realized out of all of this experience is that this was my road to success, fulfillment, and happiness. Breaking free of the chains of my past made me love my present and forward to the future. 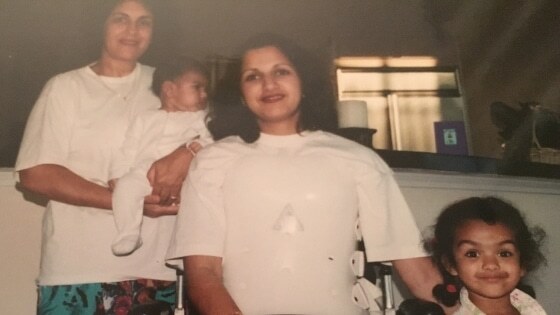 On January 23, 2000, Meena suffered a spinal cord injury that left her a T12 paraplegic. 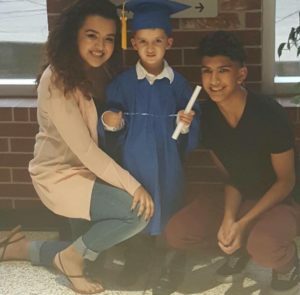 She worked hard to grow and push past adversity and challenges, and even went back to school for a four-year diploma in writing for teenagers and children. 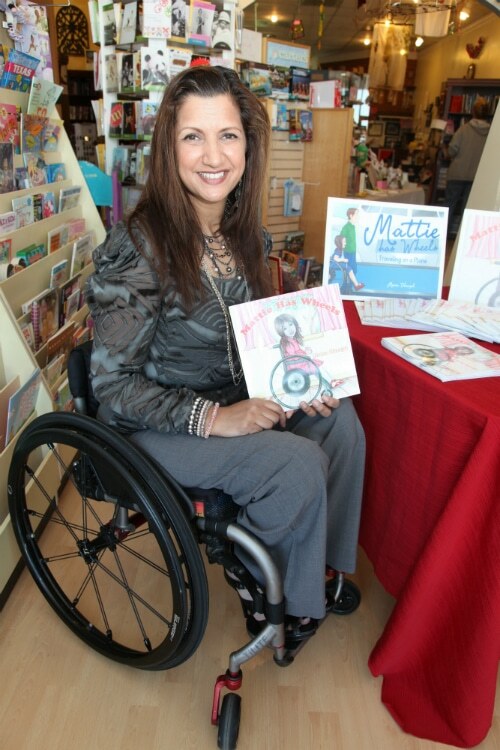 Since then, she has begun writing memoirs, blogs, and a book series featuring a young girl named Mattie who is in a wheelchair. She has been featured in magazines, fashion shows, radio shows, and on local news to speak about her life as a disabled woman, wife, and mother. Through her work, she hopes to inspire others with disabilities. My Story by Bill F.
Bill, an employee at 180 Medical, shares the story of his spinal cord injury, what it’s like to live as a quadriplegic, and more. Chad Peery, Oklahoma City’s Hometown Hero, a police officer who was paralyzed in an off-duty incident, gives hope to others by never giving up.